Disclosure: Bessemer is the largest shareholder in LifeLock, but like our co-investors Kleiner Perkins, Goldman Sachs and Symantec, we did not choose to sell any stock in today’s offering. I serve on the company’s Board of Directors, as I have done since our Series A investment in 2006. The following is my personal opinion. Today I stood by Todd Davis’ side as he rang the NYSE bell to begin the trading session, marking the day of LifeLock’s IPO. 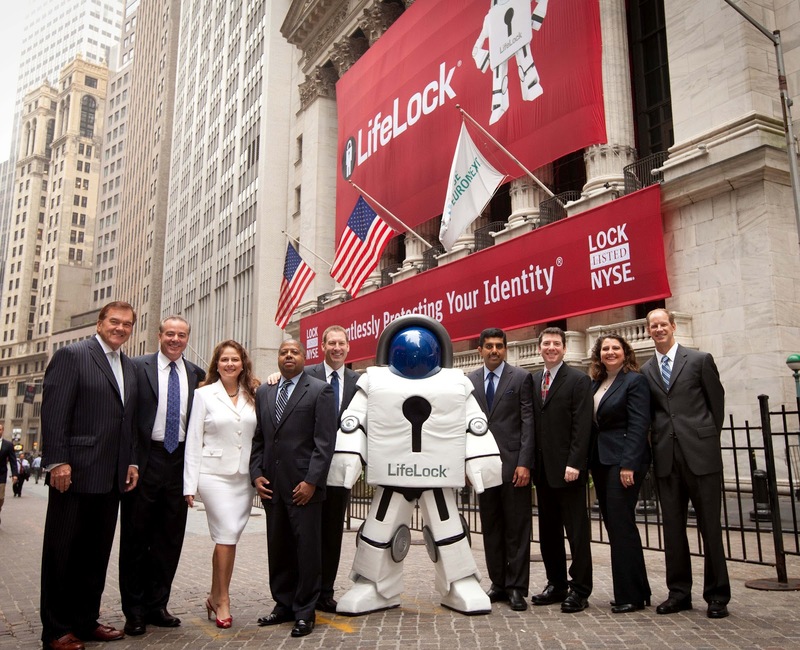 Although I don’t expect to be out of Lifelock stock any time soon, I already consider it one of my proudest investments. At a time when digital technologies increasingly expose our private data to theft, Lifelock provides security directly to millions of Americans, and indirectly to over a hundred million Americans through the company’s enterprise services. LifeLock is leading the way to cloud-based protective services, the inevitable future of data security. So we actually met every other startup in the space – most of whom were rich in Silicon Valley credentials. But we couldn’t find the combination of technology, service and marketing that you need to sell consumers, which was discouraging. We finally heard about a small team in Tempe working on the problem, so James Cham, Brian Neider and I flew out to Arizona to meet them. There we met Todd and the other 9 employees. What immediately distinguished them from their competitors is that LifeLock prioritized the customer experience. They prided themselves on their young but high touch service department. They lived for customer testimonials, and displayed them proudly on the wall. This service orientation really forced the company early on to meet the challenge of simplifying the message around a complex technology product. Rather than try to solve all the technology problems up front, they outsourced as much of their infrastructure as they could to cloud providers, and then proceeded over the years to thoughtfully develop (or acquire) proprietary secret sauce, as they grew. In most successful startups, innovation plays a large role early on, while sales and marketing have to catch up; LifeLock has executed the reverse – the Company is investing more today in proprietary product development than ever before. The team also impressed us with their transparency, and hunger for criticism. They weren’t getting calls from other VCs, and so they resolved to use our meeting to learn what they can from us about online consumer subscription models, potential partners in the security space, and general startup questions. To this day LifeLock enjoys a culture that marries ambition and humility – they are never afraid to admit their mistakes, and they do not get discouraged. And there were times they might have been discouraged. LifeLock has disrupted an industry that had been dominated by reactive credit monitoring products from providers who actually sell customer data for a living. These deep pocketed competitors challenged LifeLock legally, and said some nasty, untrue things about the company and founders that provoked a lot of scrutiny from regulators, investors, journalists and partners. 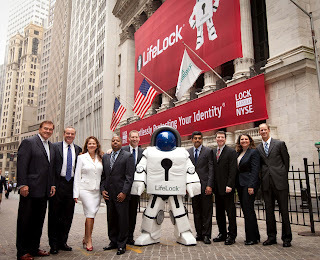 Lifelock rose to the occasion, embracing every criticism as an opportunity to improve. Lifelock moved past fraud alerts (which relied on the creditor or merchant to call a consumer), developing an ecosystem of data partners who provide Lifelock with real time alerts to commercial transactions as they happen. Earlier this year, Lifelock acquired the largest of these partners, ID Analytics, which applies predictive analytics to spot fraud using 750 billion consumer identity elements collected over a decade from their enterprise clients. Lifelock now indisputably provides broad, real-time protection that no one else can provide. At LifeLock we got the chance to work closely with the team on strategy (including some IP we contributed) and recruiting – between Bessemer’s GC Scott Ring and me, we’ve exchanged nearly 10,000 emails with the LifeLock team. Although Todd had startup experience, and sales experience at Dell, he had never run a large company. I think a lot of VCs would have just hired a “professional CEO”, but I’m now a richer man for having bet on a founder who has been absolutely relentless in his passion to stamp out identity theft. Todd overcame his own inexperience by hiring world class executives like Marvin Davis (former CMO Comcast), Chris Powers (CFO/COO Netqoute, Salary.com, Monster), Prakash Ramamurthy from Oracle, former White House lawyer Clarissa Cerda, Larry McIntosh (SVP McAfee), and most recently Hilary Schneider (EVP, Yahoo!). It has been a unique pleasure to work with Todd. Last night I had the pleasure of meeting his parents, and I realized how informative it would be for me to meet the parents of every founder I back! It’s clear to me now that Todd’s extroverted charm, humor and humility are inevitable expressions of his genes. His mother quietly told me how the family had sacrificed to support Todd’s enrollment in Baylor’s entrepreneurial program, and his early startups, but that “Now, it was worth it!” When their son arrived to meet us, worn from seventy investor pitches around the country, proud tears graced her cheeks. Based on our experience in LifeLock, Bessemer has been able to refine our road map in consumer security and privacy. We are now also lead investors in Reputation.com, which helps its customers take control of what the internet says about them, and BillGuard, which protects users from credit card fraud and other unwanted transactions. I’ve been fortunate to see twenty of my startups go public, but I’d never before come to New York for the event. (Maybe it’s because most of them went public during The Bubble, when IPOs were too easy!) But somehow this one was different, and I just had to be there personally to hear this bell ring. It was a sweet sound indeed. Fun times. Success is always enjoyable. I have a completely unrelated question: Recently as with all politically motivated stories, much has been made of Bain Capital and GST Steel. Generally I understand how venture capital works. You find a startup, or a struggling company, buy into it, and try and turn it around. If you succeed, the company shares go up in value and you make millions. If you fail, the company crashes, and your shares are worthless paper. But the claim is that Bain Capital bought out struggling steel mill, and then made a few million from the crash. How is that even possible?